UPDATE – 11:00AM Officials are opening the closed portion of I-90 from Chamberlain to Sioux Falls and I-29 from Sioux Falls to North Dakota border effective immediately. 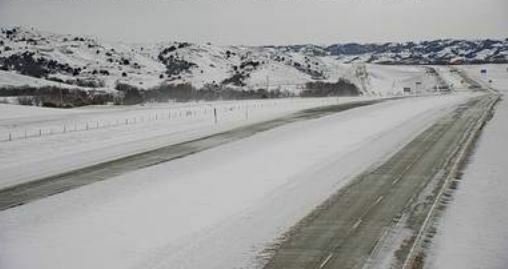 9:30 AM – State officials have announced the closed potion of I-90 from Rapid City to Chamberlain has been open as of immediately. The closed portions from Chamberlain to Sioux Falls will remain closed until further notice. Winter driving conditions beyond Chamberlain have compacted snow and ice, and blowing snow. Motorist are cautioned this will make travel difficult throughout the day. Slow down, keep the cruise off and be aware conditions can change very quickly. Travel on other state highways may still be very difficult, drivers are reminded to check safetravelusa.com/sd or call 5-1-1 before traveling. Plows will be out all day, give all plow drivers room to work.